Nurses, housekeepers, veterinarian assistants, and pretty much everyone else in the healthcare field, unite! For women everywhere who have a serious need for a pair of easy-to-wear, easy-to-care-for work pants for getting things done, your search has come to a triu ... (see full details) (see specifications) #5026-CBL. Nurses, housekeepers, veterinarian assistants, and pretty much everyone else in the healthcare field, unite! For women everywhere who have a serious need for a pair of easy-to-wear, easy-to-care-for work pants for getting things done, your search has come to a triumphant conclusion. The WonderWink Scrubs 5026 CBL Women’s Ceil Blue Romeo Flare Leg Scrub Bottoms are the perfect solution to your pants-related conundrums...and somehow, they actually manage to be flattering at the same time. We know: it’s a miracle. These scrub bottom pants are made durably for daily use in hard-working environments, but they’re also made with women’s bodies in mind. They’re cut with WonderWink’s specialty “Lady” fit, which does away altogether with the shapelessness of typical scrub pants and instead offers you with a figure-flattering cut with flare legs. Wear them easily over all kinds of women's shoes or work boots, and enjoy the lack of extra fabric bunching up and driving you crazy around your hips and waist. Figure-flattering doesn’t mean impractical, though, so don’t worry. These WonderWink pants are cut loose enough for total freedom of movement, and they have a ½-inch elastic waistband complete with a convertible drawstring closure for a totally adjustable fit. The placement of the drawstring is intelligently chosen, too: it’s set higher up in the waistband than traditional drawstring closures, so once you tie it, you can tuck the tie easily inside the band if you’d like. This can make for improved safety in environments where the string can catch or snag on things. It can also just prevent the string from driving you crazy while you run around getting your work done! These women’s blue scrub bottoms are also loaded with a total of six pockets - one traditional pocket on each hip, plus a set of divided patch-style cargo pockets on one leg. A signature I.D. bungee loop attached to the cargo pockets lets you keep your identification card or swipe card close at hand and visible as needed. The fabric of these Romeo women's scrub pants is a blend of 65% polyester and 35% cotton that’s ridiculously easy to care for - just wash and wear. (Maybe add a step called "dry" in there somewhere.) Don’t worry about stretching or shrinking, and don’t worry about the pretty Ceil blue color fading quickly, either. WonderWink designed this women's workwear to be long-lasting. Scrub bottoms kind of have a reputation for being super useful, but also super ugly and uncomfortable. We’ve always been kind of resigned to that having to be the case. 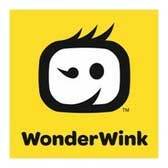 But it looks like WonderWink has come along to shake things up. Expect more from your women's scrub pants. Demand it. Get yourself a pair of WonderWink Scrubs 5026 CBL Women’s Ceil Blue Romeo Flare Leg Scrub Bottoms from Working Person's Store, and reap the benefits that come along when someone raises the bar of expectations. WonderWink Scrubs: Women's 5026 CBL Ceil Blue Romeo Flare Leg Scrub Bottoms is being added to your cart.